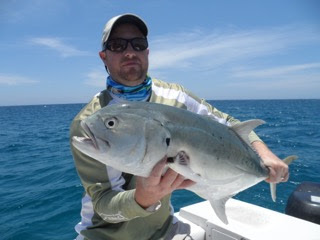 Gary and Angela Levers Nice Jacks and Roosterfish. Rich Baily and Jim Rufh Nice Jack on a Fly! 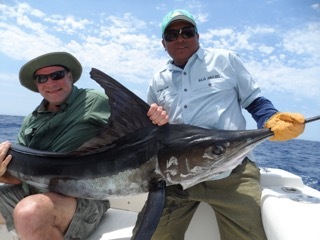 Mike and Tim Little Nice Marlin On a fly! 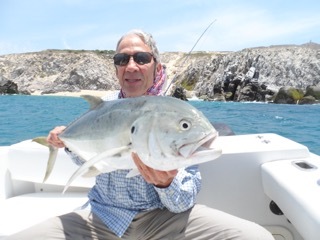 The rooster fishing is very good right now. 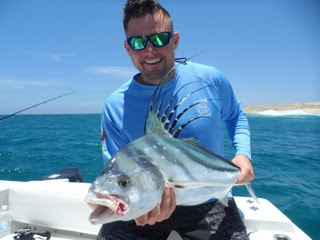 Lots of fish and some very big ones… We arils catching jack cravelle and sierra mackerel. 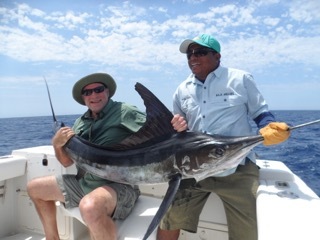 Offshore the marlin fishing is good and close to Cabo, only a mile or so out. 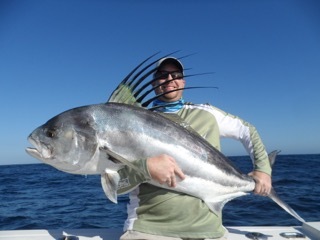 This is the time to come fish Cabo, its prime time inshore fishing and very good marlin fishing. 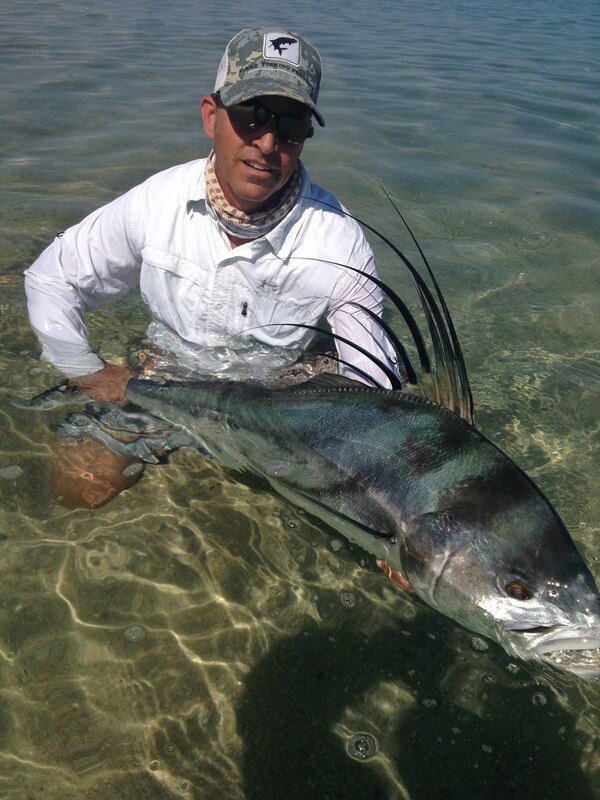 Its also prime time for big ole roosterfish grandes. 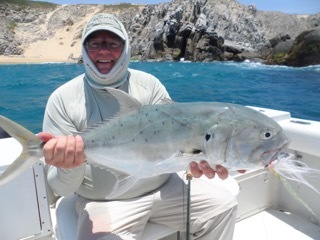 It's rooster season in Cabo!